Since the introduction of Android 5.0 Lollipop and the major Material Design overhaul, Google set out to keep the lock screen as clean as possible while only showing you vital pieces of information like the time, date, and notifications. Many who enjoyed using widgets on their lock screen were upset with this change, but over time it became clear that things weren’t going back to the way they were. As more people are digging through the second developer preview of Android P, we’re seeing some additional information displayed on the lock screen. For example, we recently talked about how you can see the current temperature and weather conditions on the lock screen (as well as the ambient display) with this new update. This information sits right beside the day and time and it’s actually something that I really enjoy as I unlock my phone to check the current temperature a few times throughout the day. 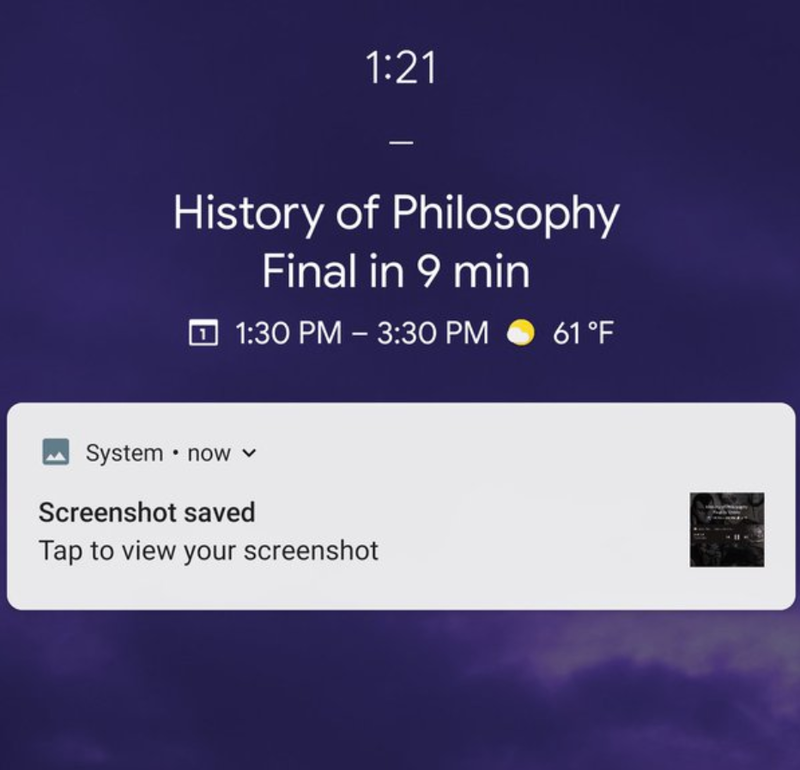 Along with this change, Twitter user @tglaraton found out that Google has started adding another piece of information on the lock screen and ambient display. This time it’s your upcoming scheduled event from the calendar application. 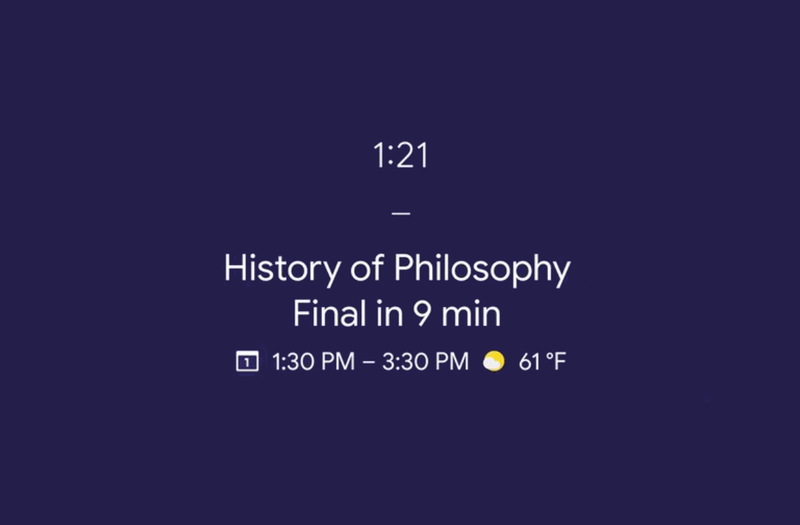 When this information is available and displayed on the lock screen, it shifts the time up and then shows the calendar event right under it with its title and the times in which the event is scheduled. If you have location services enabled for the weather information then it will be displayed right after the time slots for that event. We doubt we’ll see the ability to add widgets to the lock screen in any official way (meaning without mods or 3rd-party applications), but it’s clear that Google is trying to surface some important information directly to the lock screen and ambient display of Android P to save us some time.